Authorities have arrested two teenagers accused of being in a car that struck a Richmond police officer who was on foot and attempting to break up a sideshow over the weekend, the East Bay police department announced Monday. The driver, who has been identified as 18-year-old Juan Vargas, and 18-year-old Genesis Diaz-Castaneda, have since been booked into the Martinez Detention Facility, Richmond Police Chief Allwyn Brown said. The officer, who has been with the department for eight years, has been released from the hospital after sustaining broken bones, cuts and road rash. The sideshow and subsequent hit-and-run unfolded early Sunday in the area of Marina Bay Parkway near Regatta Boulevard, which is located just a few blocks from Richmond police headquarters, according to police. Arriving officers found about 40 to 50 cars in the area. 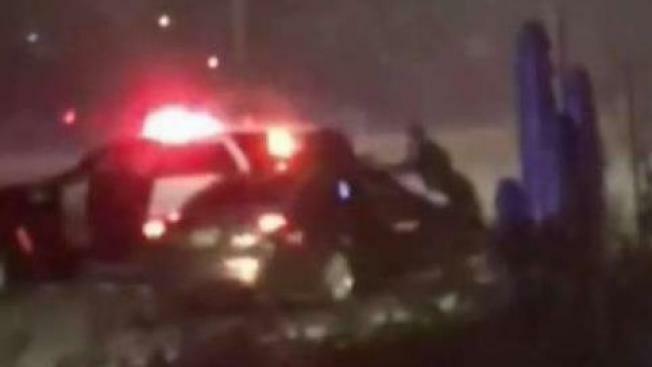 As officers tried to stop some of the cars for vehicle code violations, one of the cars accelerated, striking the officer who was on foot and launching him onto the hood and windshield of the car, according to police. Authorities have arrested two teenagers accused of being in a car that struck a Richmond police officer who was on foot and attempting to break up a sideshow over the weekend, the East Bay police department announced Monday. Pete Suratos reports. 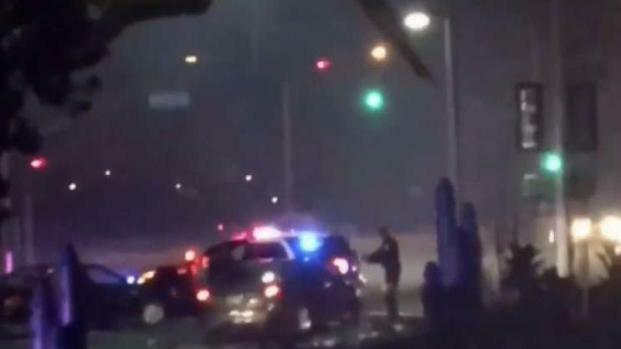 "It’s just pretty brazen to run over a police officer that’s trying to keep the peace in this bedroom community," police spokesman Lt. Felix Tan said. The suspect vehicle sped away from the scene and was last seen driving southbound along Marina Bay Parkway, police said. Authorities later found the suspect vehicle damaged and abandoned at the end of Marina Bay Parkway, Brown said. Investigators were able to determine who the registered owner was and were able to share that information with other Bay Area law enforcement agencies in hopes of locating the owner. 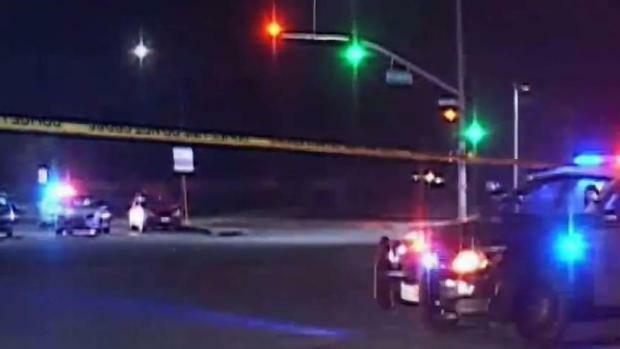 During the investigation, authorities were eventually led to the teenage duo in South San Francisco after they reported that the vehicle involved in the hit-and-run had been stolen, according to Brown. Richmond officers traveled to South San Francisco and arrested the pair. "If you use your car in a crime and then you abandon it and then you try to report it stolen later, we're familiar with that tactic," Brown said. "It doesn't usually work." The charges announced against Vargas and Diaz-Castaneda include attempted murder, filing a false police report and conspiracy, Brown said. The search for a driver who struck a Richmond police officer trying to break up a sideshow over the weekend continued Monday morning. Pete Suratos reports. Bail has been set at $245,000, according to Brown. A number of other vehicles involved in the sideshow were also impounded, police said.